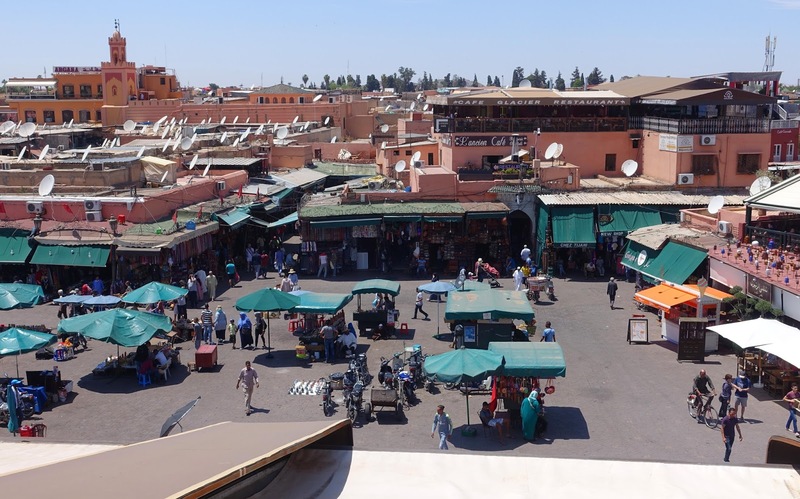 Marrakech is a large, very busy city. I am sure we could have easily spent a week seeing the sights, but our day and a half was enough. The problem with the cities is everyone wants to sell you stuff and we don't want to buy (the sprinter is just to small for any more stuff). 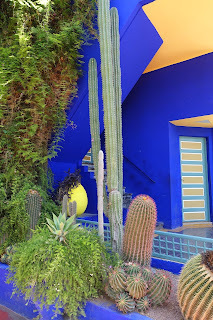 It gets a bit much. 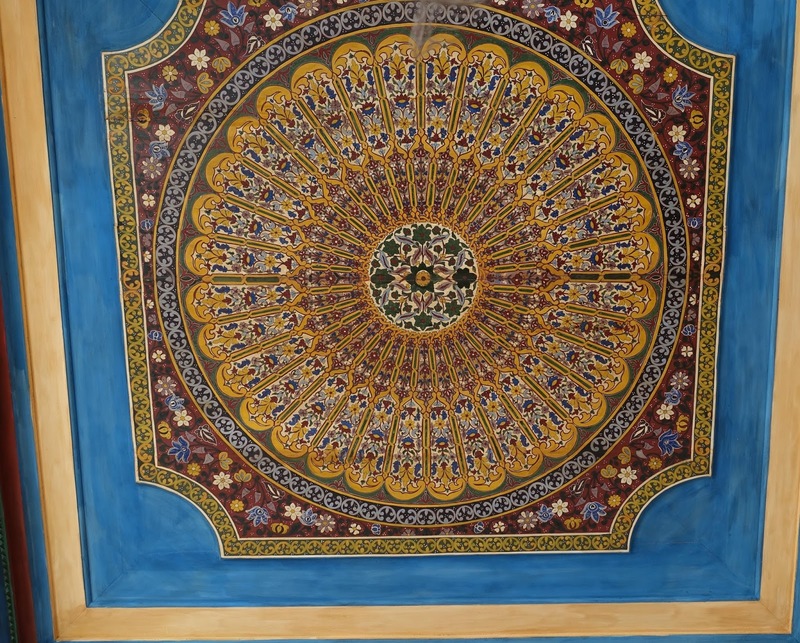 We are tired of saying la shukraan (no thanks) numerous times to get the sales person to leave us alone. 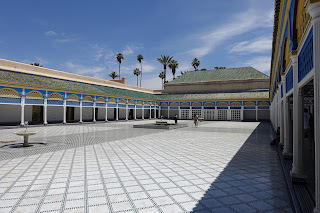 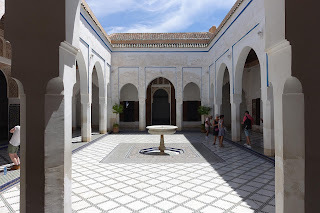 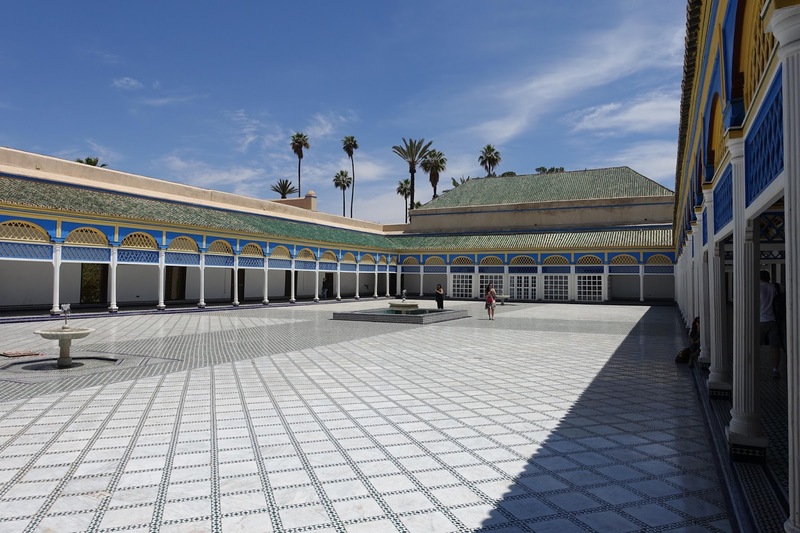 We visited the Bahia Palace, built in the late 19th century. 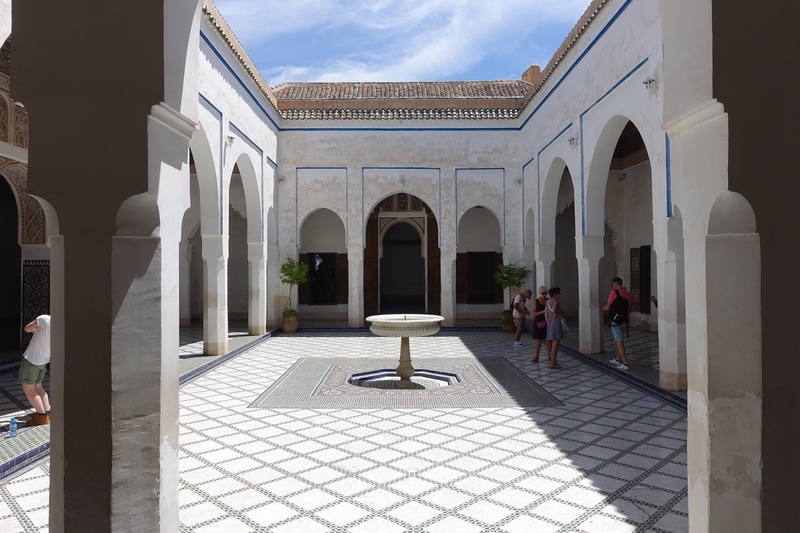 A large back courtyard of the palace. 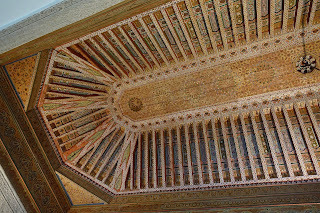 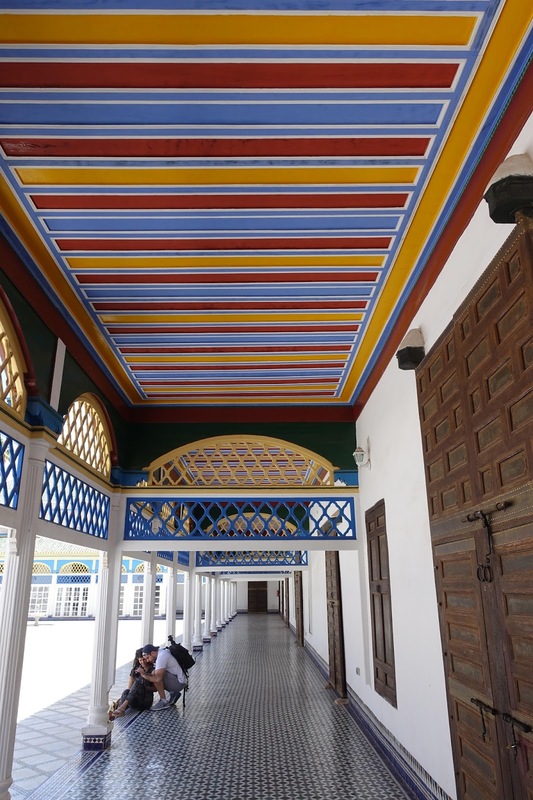 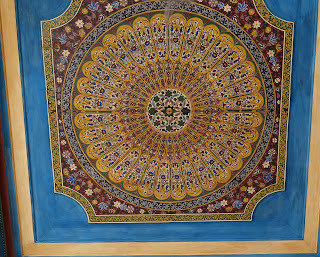 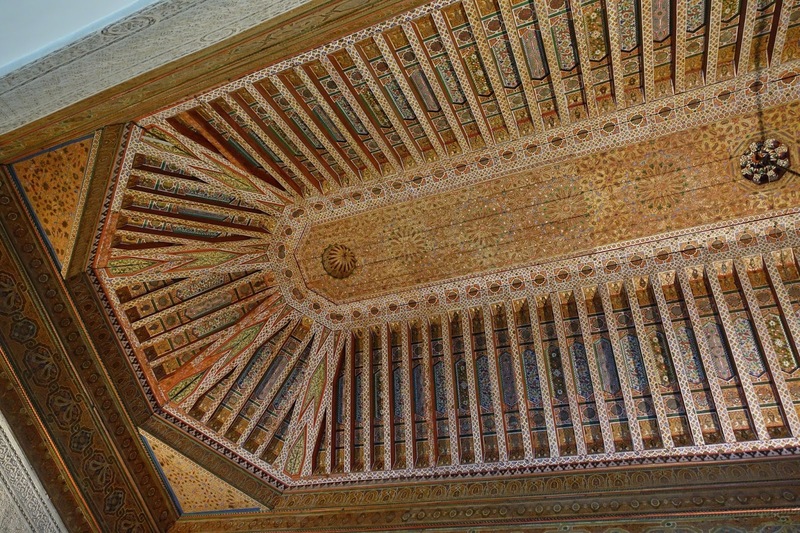 Most of the ceilings were painted in ornate designs. 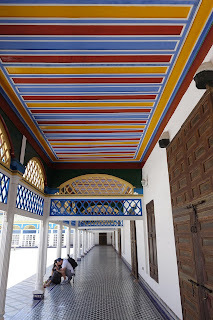 This hallway ceiling was simple, but very bright. 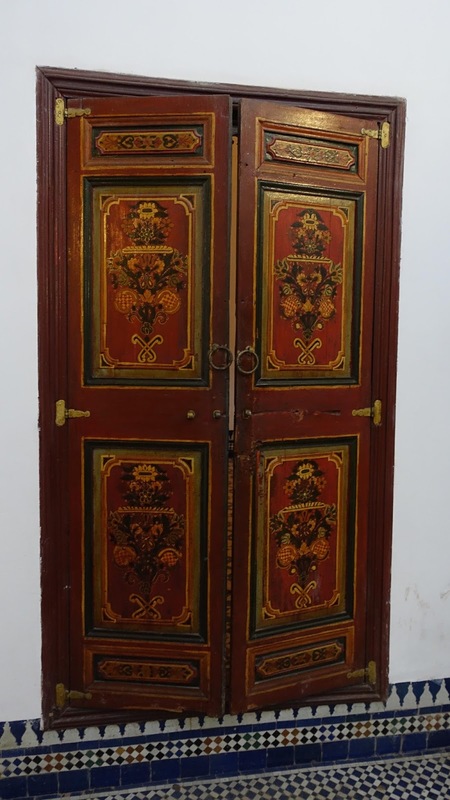 Most of the doors were beautifully painted. 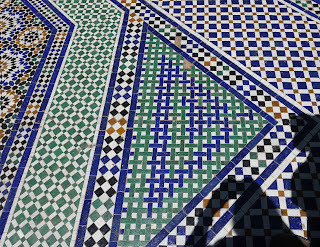 An example of the tile work on the floors. 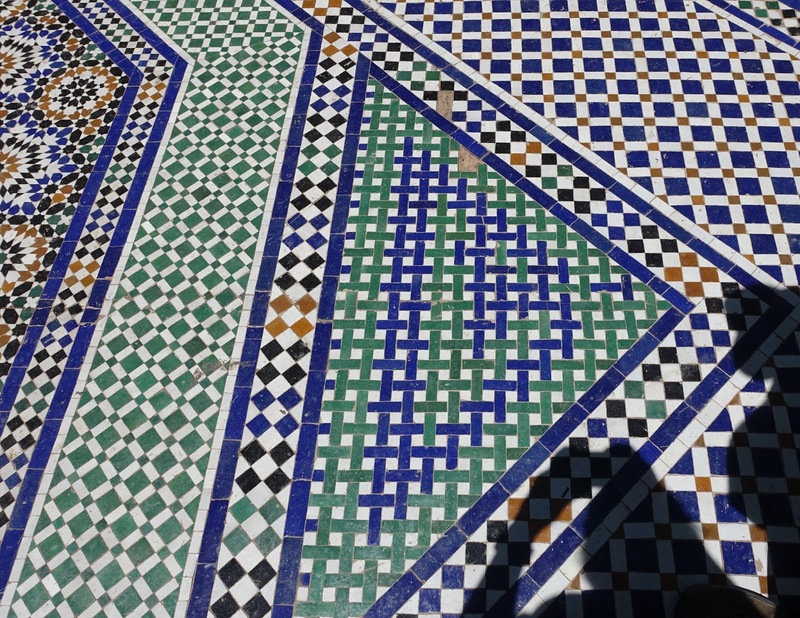 There must be inspiration for a quilt design in there somewhere. 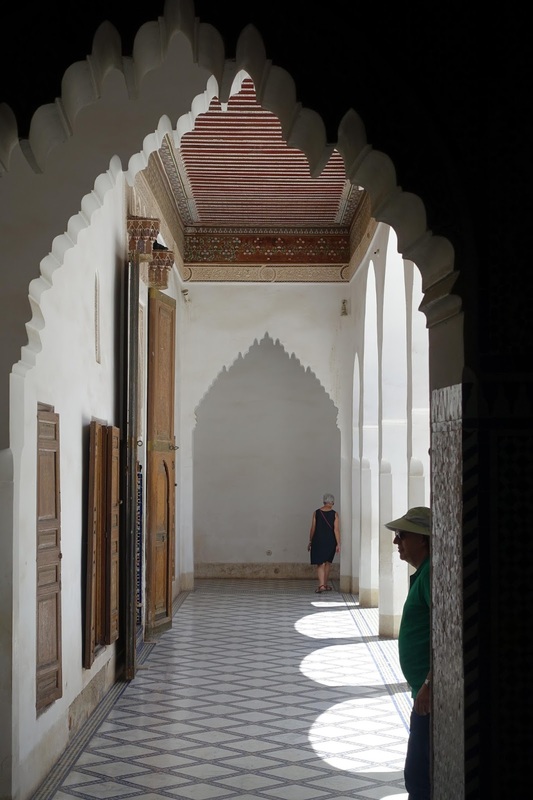 The palace had lots of arches. 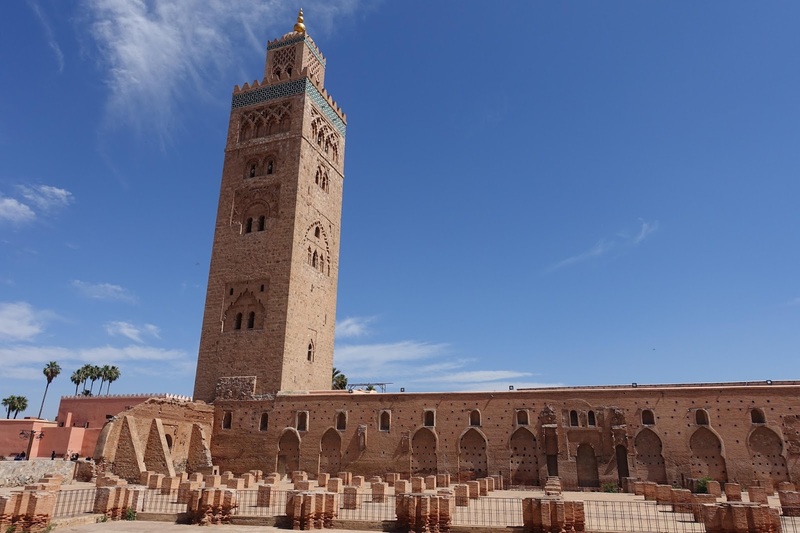 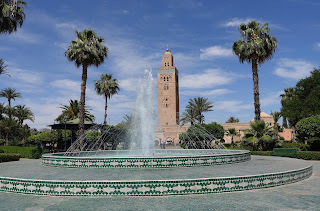 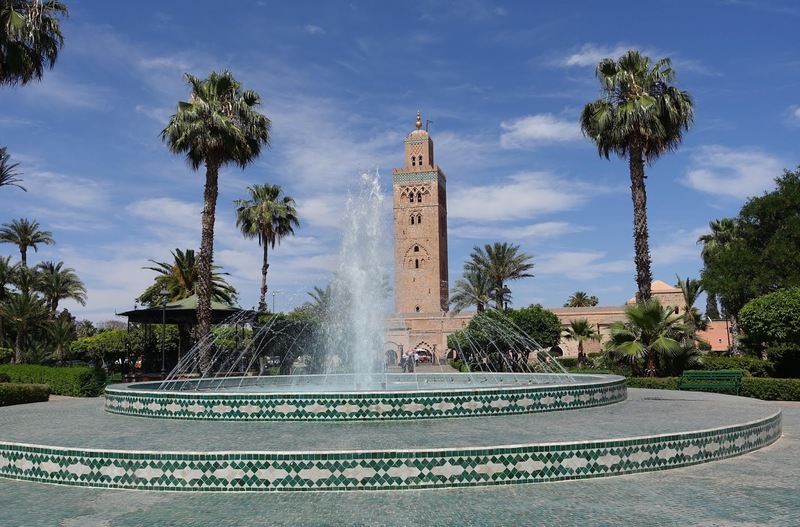 Koutoubia Mosque is the largest in Marrakech. 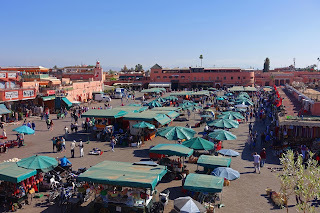 Jemaa el-Fnaa - a popular large square in the medina. 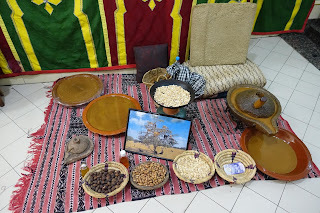 Shop display of argan oil. It is made from the kernels of the argan tree. You see shops selling the oil everywhere in Morocco. 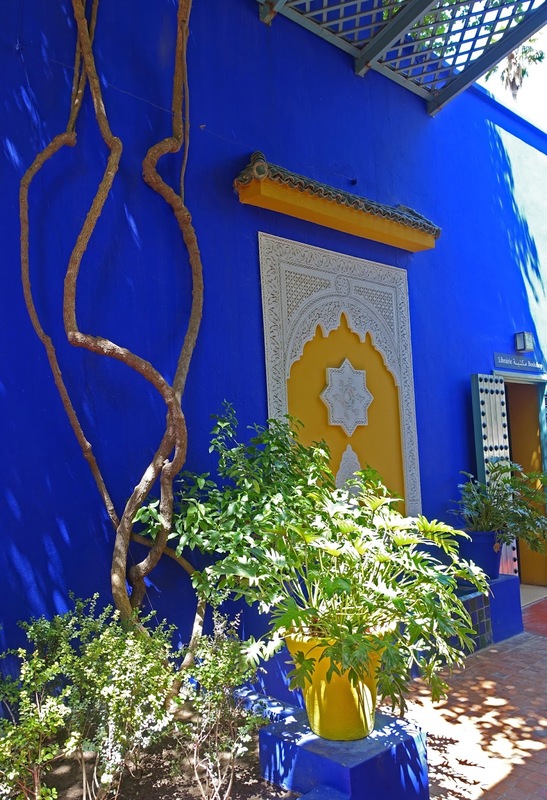 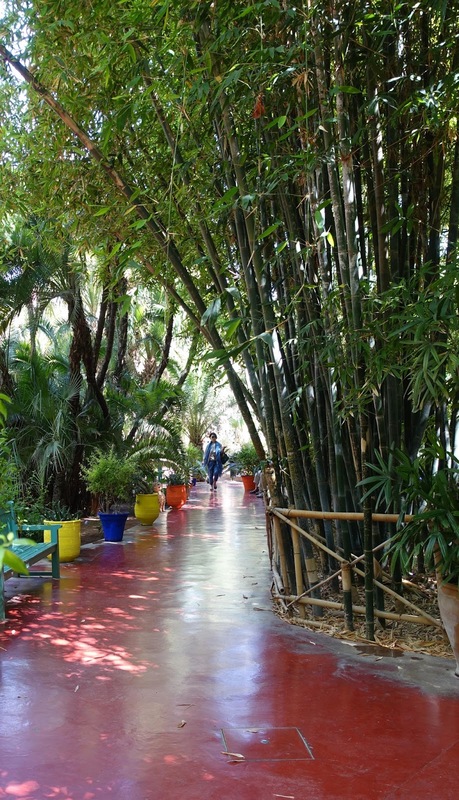 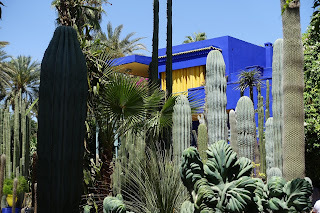 Jardin Majorelle - a botanical garden in Marrakech. One of the pathways thru the bamboo garden. 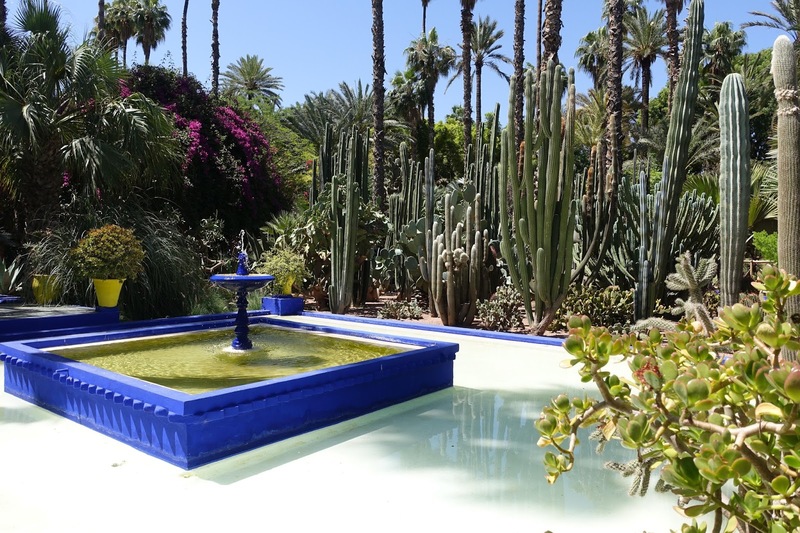 The color Majorelle Blue, a special shade of cobalt blue, is used everywhere in the garden. 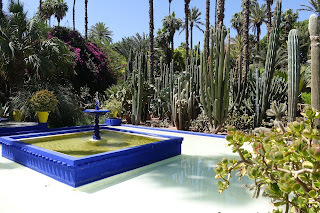 The villa in the gardens where the french painter Louis Majorelle lived. 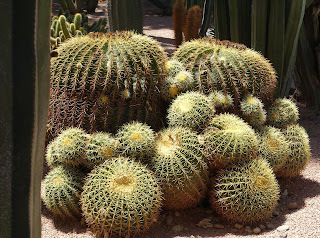 There is an extensive cactus garden within the gardens. 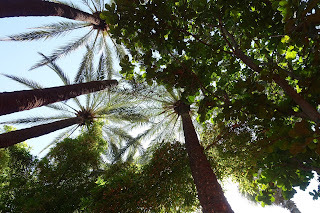 Looking up, the gardens were a cool, shady place to spend the early afternoon.